How would the date go down? Takayanagi Akane. No doubt about it. Churi's one with a lot of emotions. 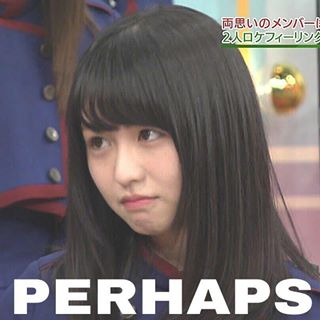 Churi can be very sweet, very... Paru-like... Can get very emotionally down. During a date, we'd just go to a restaurant, or maybe see the sights of London, or Edinburgh. Re: Who would you date? I would take Sakura to Madrid. First class seater, lotsa blankets, red eye....what could be more fun than cuddling up with Sasshi while on a trip? That said, I know what it literally means....but traveling around with her would be wonderful. I think Seville is a more romantic Spanish city. Myself would give everything to date Ju Jingyi....a candlelit dinner in romantic Prague. Sasshi, Rie or Yukirin. If I have to decide on just one then Sasshi!